Laxmiben from Surendranagar, Gujarat runs her own enterprise and has a teen-aged child. Her story is similar to Laxmi, a young tailor and mother of two from T. Puthur village, Tamil Nadu. Supported by Milaap lenders like you, they built toilets in their homes. With their easy access to sanitation facilities, their families no longer have to relieve themselves in the open, and they are safe from the risk of attacks and infections that occur with open defecation. Further, their medical savings helped these two mothers to repay their lenders in installments. Like these two mothers, almost 50% of India’s population needs a way out of the sanitation crisis they have to endure. Milaap has been partnering with non-profits like GUARDIAN in Tamil Nadu, and Prayas in Gujarat to help address this rural sanitation problem. These partners spread awareness among local rural communities about the importance of hygiene and sanitation. They educate rural women and their families on the ill-effects of open defecation and the benefits of having a toilet. 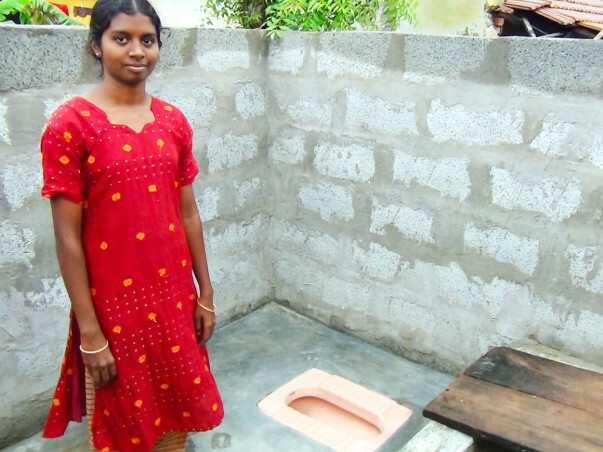 But the cost of building a toilet can be prohibitive for these low-income families. So as a next step, with the support of Milaap lenders like you, these families are provided affordable microloans to build toilets in their homes. Your loans can help thousands of families to benefit from these initiatives and start practicing proper sanitation right away.